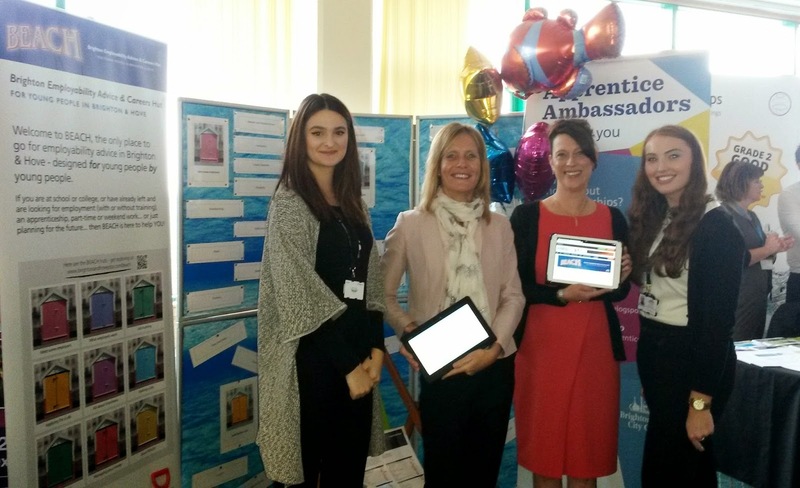 Our apprentice ambassadors Kelly Butler (left) and Lucy Strutt (Right) attended the all day Sussex-wide careers event at Brighton Racecourse, 15 October 2014. Over 30 school across Sussex attended the event, visiting a range different stalls all providing careers advice to young people. Our ambassadors Kelly and Lucy were among this giving advice and real life experience of what being an apprentice is like and what it involves, as well as encouraging the idea of taking on an apprenticeship after school or college. Kelly Butler, Human Resources apprentice, said: "At this event, we managed to inform a number of young people about apprenticeships and the opportunities that are available to them, gaining positive feedback on this. Doing career events like this, allows us as an organisation to interact with young people and gives them a sense of what is available when they leave school or college."